Learn how to request the Credit Report & Background Check. Get a free screening report instantly for free on Rentberry. 2. Click on the 'Screening' button on the top menu of your screen. 3. Click on the 'Screen New Tenant' button to proceed further. 4. Fill in the tenant's First Name, Last Name and Email. Please note: You have to use different email for each tenant. 5. You can add more tenants by clicking on the 'Add another tenant' button. 6. Click on the 'Send Request' to send out the screening requests to all of selected prospects. 7. The requests will be sent to their emails. 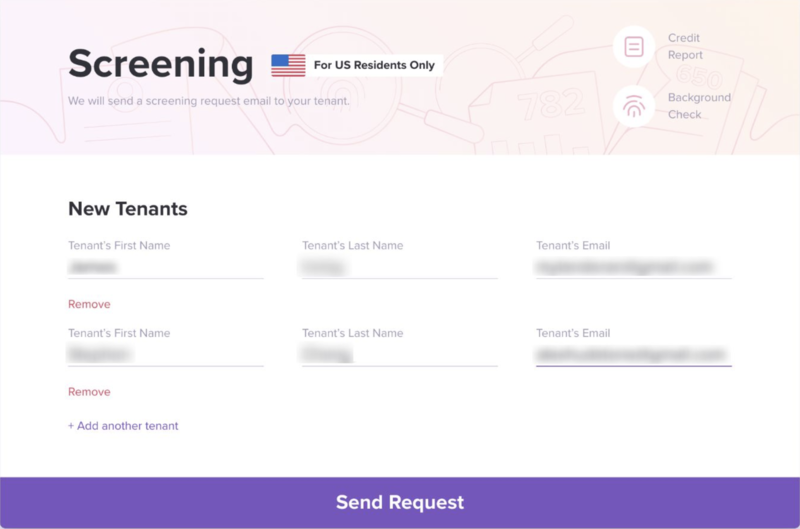 Once they finish the screening survey, you'll be notified via email and see the changed status in the 'Screening' section of Rentberry website. Still need help? 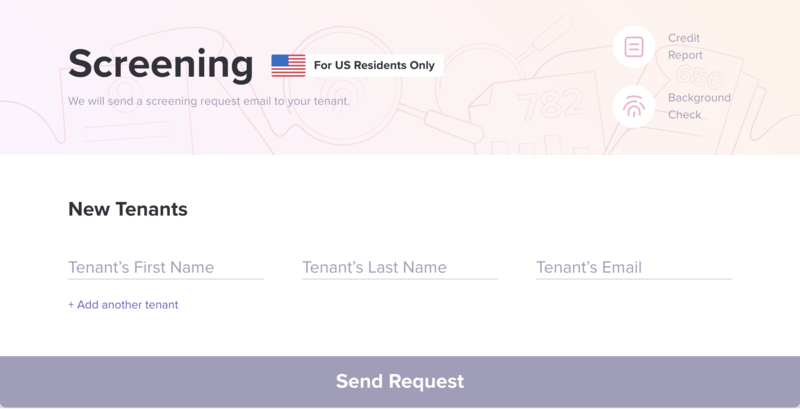 You can access our customer service chat in the right bottom corner of the screen or reach out to us via email: support@rentberry.com.